With less than a month to the start of the World Cup in Brazil, we take a look back at some of the players who have made the tournament the great spectacle that we look forward to every four years. I will never forget the opening match of the 1990 World Cup in Italy. I fully expected Diego Maradona's Argentina, the defending champions, to tear a strip off of the unknown Cameroonian side. 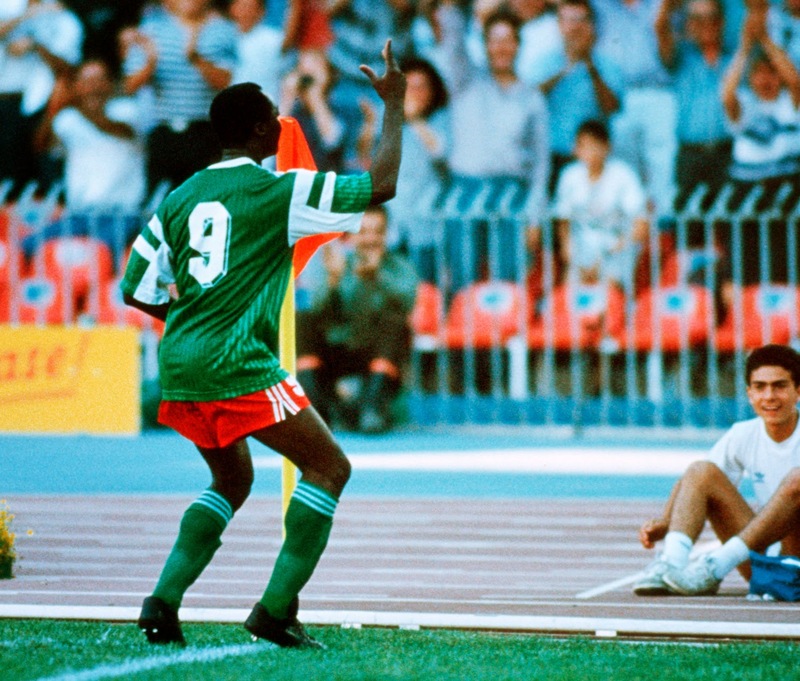 But what the world saw was a tough, no quarter given display by the West African's, a goal by Francois Oman-Biyik, a crazy foul by Benjamin Massing and a shock 1-0 upset win to open Italia 90. But the best was yet to come for them in the unlikely form of a 38 year old journeyman striker by the name of Roger Milla. The former African Footballer of the Year had retired from international football in 1987, and after a career that had seen him star for French sides Saint-Etienne and Montpellier he was in virtual semi-retirement at club level, plying his trade for Reunion in the Indian Ocean. On the eve of the World Cup though, Paul Biya the President of Cameroon urged Milla to come out of retirement and join up with The Indomitable Lions for the greatest show on earth. Milla came on as a sub for the last ten minutes in the win against Argentina, without making much of an impact, but in the second match of the tournament against Romania, Milla kicked into gear. Finding the back of the net in the 76th and 86th minute, Cameroon beat Romania 2-1 and assured their unlikely passage into the second round of the tournament. Facing a highly rated Columbian side in the Round of 16, The Indomitable Lions held the South Americans for 90 minutes taking the match into extra time with the score knotted at 0-0. But cometh the hour, cometh the man, as Milla found the net twice in extra time. With one of the goals coming as a result of stripping Columbia's mad keeper Rene Higuita of the ball and then celebrating the resulting goal with his trademark wiggle and shake at the corner flag, he created one of the most enduring images in World Cup history. In the Quarter Finals against England, Milla played the role of super substitute again by winning a penalty shortly after coming on to tie the score at 1-1 and then setting up Eugene Ekeke for the goal that put Cameroon 2-1 up. 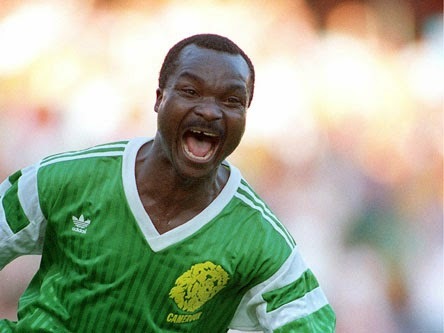 Although England came back to win 3-2 in extra time, the contribution Cameroon and, most of all, the veteran Roger Milla made to the tournament will never be forgotten.